Haydock WA11 Gardeners & Tree Surgery | YGM Cleaning Company Ltd.
You just started this year’s spring cleaning, and you really feel completely exhausted already? Well, we hate to remind you, but spring cleaning could include not only deep cleaning your residence, but cleaning up your outdoor space as well. Do not panic! 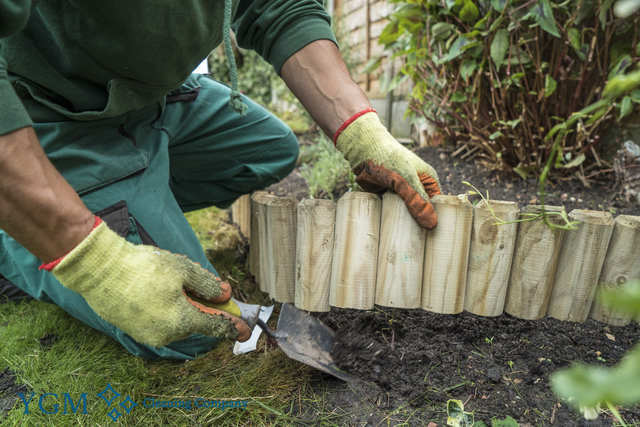 The professional gardeners in Haydock from YGM Cleaning Company Ltd. can easily, efficiently and professionally take care of the garden clearance, garden waste removal, as well as offer jet washing for patios or driveway, at a surprisingly reasonable price. The professional gardeners can take care of your overgrown lawn, your trees, flowers, plants and your entire outside area arrangement and maintenance. All you need to do is phone the 24/7 customer care telephone number 0161 823 0323 or fill out the online form, in order to get more price information, as well as all the details about discount rates available for booking combined gardening services in Haydock, as well as preferential conditions for regular customers. Ever since it was established, back in 05, the company has set its mission to offer you the highest quality, most trusted, efficient and professional gardening services in Haydock to private residents and companies and the area. Through the years, the company has been supplying all the required training, gardening tools and products, and all necessary sources to ensure that its clients receive the best gardening services in the region, at the most affordable garden cleaning price. The professional gardening company in Haydock can assist you clean out the small branches, cut grass and fallen leaves from your own outside area. The gardeners can thoroughly wash out any dirt and residue from your outdoor patio or home garage with a jet washer. They can also offer you an entirely new design and arrangement for your gardens, autumn and spring lawn care, lawn repair, lawn scarification, lawn aeration, lawn feeding and you will have healthier plants. The company provides a variety of garden maintenance services of the finest quality apart from lawn mowing and care. Many of them contain: weeding, garden clearance, care for neglected gardens, ivy removal as well as other professional gardening services, which will help to make your garden too perfect, and keeping it perfect for a longer period. The garden maintenance provided by the garden company, include all sorts of care and garden maintenance services to get your garden or other outside location cleaned up, put it into correct shape and form, and ensure that all trees and plants in it are healthful. The professional gardeners in Haydock can offer to mow your lawn and take care of any damaged areas, gardening design, landscaping. They can trim and prune the hedges, trees, ivy and other plants which need trimming and pruning. They can certainly remove all of weeds or kill all weeds, and fertilise your flowers and plants to ensure their health and roper growing. You may book your gardening service in Haydock WA11 or number of services straight by calling the customer care at 0161 823 0323 or send an online booking form right here 24/7. When you're not sure about all the services or the hours you will need to book, you can request an onsite visit by the professional gardeners. They are going to come to assess and inspect the work volumes and to give their professional advice and opinion, as well as present you with the best price for the selected professional gardening solutions on the spot. If you like the price, they are able to start with the work right away. Other services we offer in Haydock WA11 Oven Cleaning Haydock, Carpet Cleaning Haydock, Upholstery Cleaning Haydock.